Download Kids Birthday Invitation PSD Card Template for Free. This Birthday Invitation postcard is available for free to download. Kids Birthday Invitation PSD Card Template is Great for any Birthday Event, Kids Party and any Children Events. 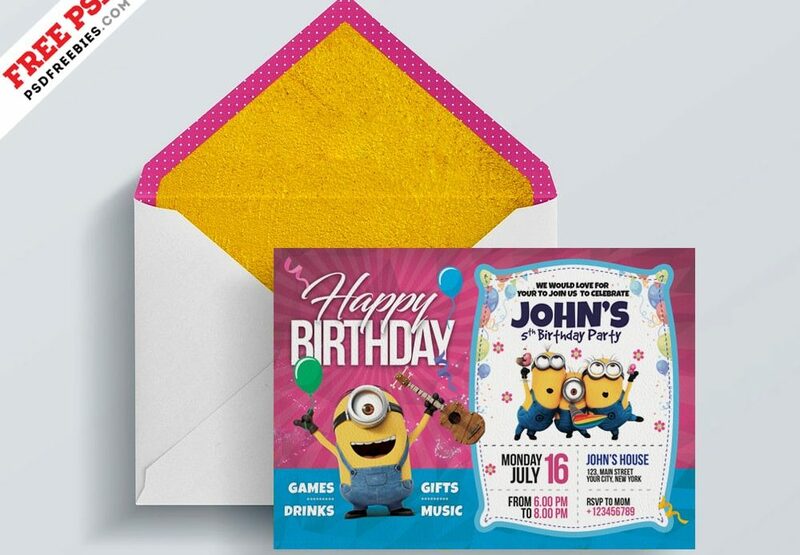 Kids Invitation Template is with CMYK Colors, 300 DPI High Resolution, 5” x 7” & Print Ready Format. Kids Birthday Invitation Card PSD is Fully Layered PSD file.